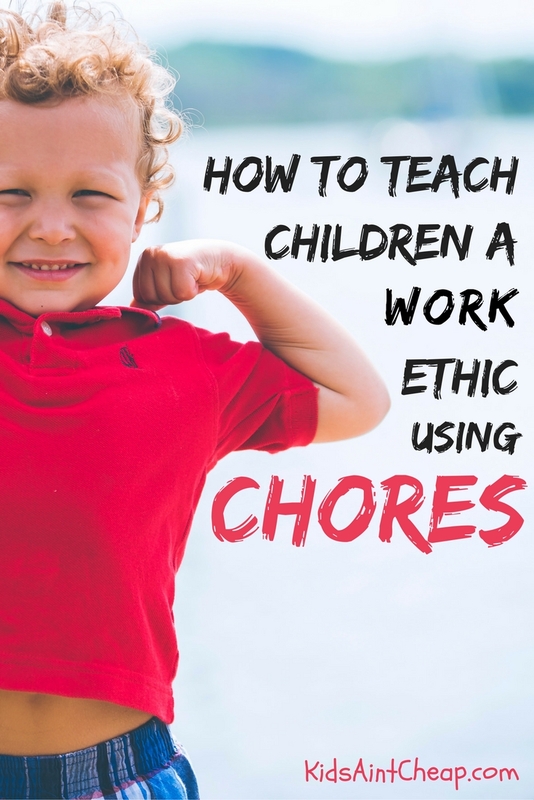 “Chore” is a curse word for some kids. Perhaps you dreaded them, too, in your youth. 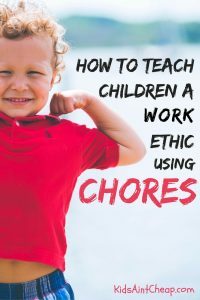 What your parents, grandparents, and teachers were really doing was instilling work ethic principles in you as you learned what it means to grow up. Now it’s your turn to pass it on. Kids learn to be part of a team. Each of these chores is simple enough for a toddler to do, even though some may require a parent’s help. Supervise each task. Focus on your child’s obedience in doing the task more than how “well” he or she actually did it. Then, celebrate the completion immediately and enthusiastically. If you pay for chores, then pay your toddler right away. Setting a brief time at the end of each day to pick up toys can help children learn a new habit. I typically choose one area of the house and assign my 3-year-old and 2-year-old to specific items. For example, I’ll ask them to just pick up all the books or all the trains or all the puzzle pieces. That helps them hunt for exactly what they need to pick up. Bring dishes to the counter after meals. One day, I was sitting at the lunch table, surrounded by bits of food and dirty dishes. The kids were racing around the house, energized by their meal. I realized that the only way for me to get some help clearing the table was to teach my kids to do it, too. So we implemented a new rule that each family member should carry his or her own dish to the counter. I shadow my youngest to make sure he doesn’t drop something on his foot, but the kids took to it right away. Can we all agree that this is an awesome, lifelong habit every kid should learn? Consistency is key in all work ethic principles, but there’s something universal about starting the day with a made bed. Plus, for whatever reason, my 3-year-old gets so excited to enter her room at bedtime and find her bed all nice and neat, waiting for her. Do you have a designated place for shoes in your house? We have a coat closet. The moment the kids walk through the door, the oldest knows to take off her shoes and place them in the closet. The youngest can’t usually take off his shoes by himself, but he knows how to put them in the closet – which counts as a win in my book. You know what my kids love? Dusting the house with one of those Swiffer Dusters. It’s the kind with the handle and the fluffy guy on the end that looks like a Sesame Street character. Not only does it dust much better than my previous duster – a rag made from an old tee shirt – but the kids get a kick out of it. It’s light-weight, is easy for toddlers to use, and pretty much gets the job done. You can even make it talk while your toddler works, if you’re feeling especially ridiculous. How old were you when you started doing chores? This post may contain affiliate links. If you make a purchase, Kids Ain’t Cheap will receive a commission, but we only recommend products that we know and love. Thank you for your business!